And here you have it! 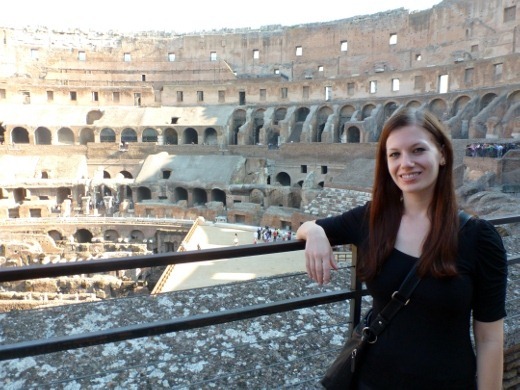 My highly-anticipated (well, that’s what I’d like the think, at least) post covering our first full day in Rome during our recent two week European vacation. The posts covering our last few days in Europe have been a little bit more slow-coming than the initial days. It’s been quite the job keeping up with sorting through my memory card containing nearly 1000 vacation pictures – but a fun task! 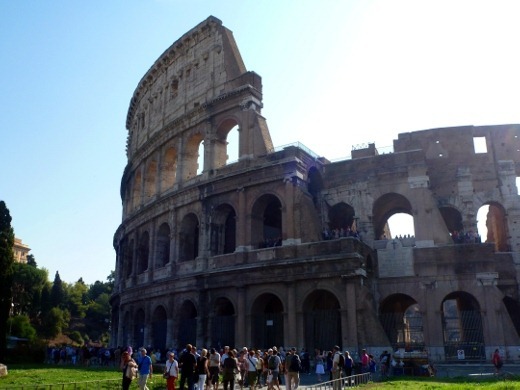 The morning of Day 11 of our trip, we headed to see one of the coolest things that can be seen in this world: the Colosseum! 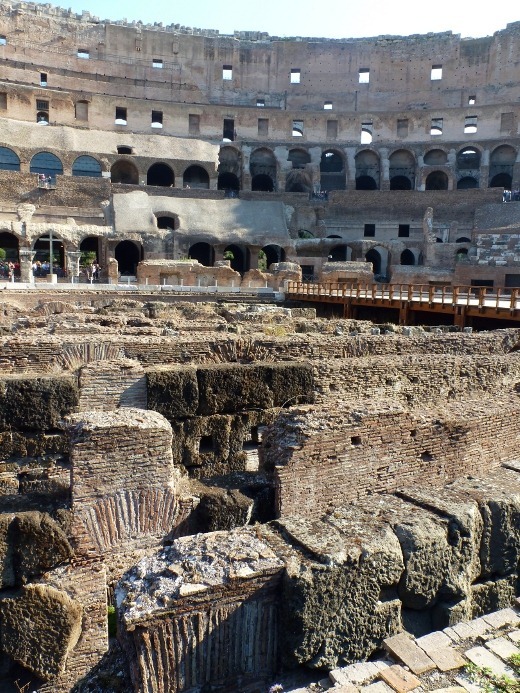 Construction began in A.D. 72, and, upon its completion in A.D. 80, the stadium could hold 80,000 spectatators [source]. We toured the interior. It was incredible. I think the most incredible part was the fact that the structure is still standing. 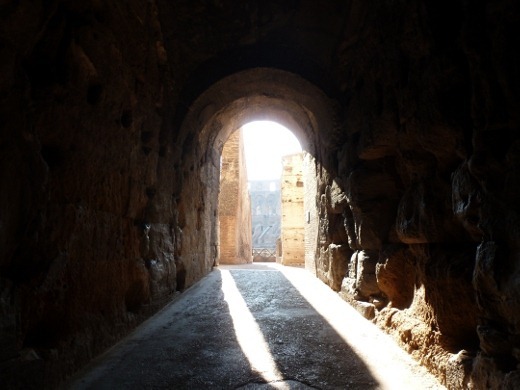 The tunnels beneath the stadium housed the animals, gladiators, and props prior to the start of the bloody contests that were held here. 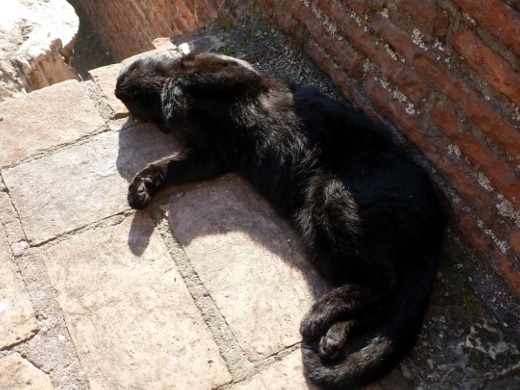 We saw this cat in the Colosseum and thought he was dead! Soon we noticed his shallow breathing and realized he was still alive – just immune to the bustle of the tour crowds. 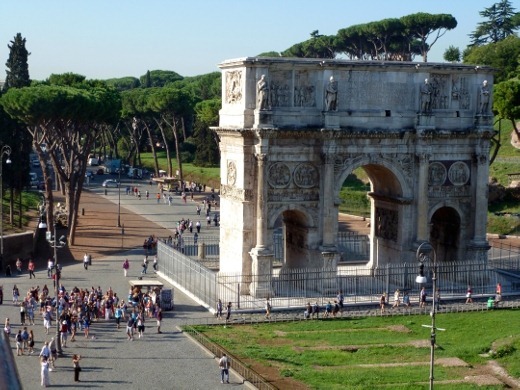 Beside the Colosseum is the Arch of Constantine, a triumphal arch constructed in A.D. 312. Next: the reason we came to Rome! 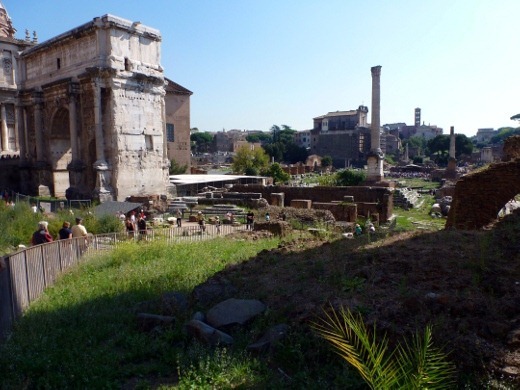 It was time to tour the ancient ruins of the Roman Forum. This has been a huge item on my life to-do list. Cheeeck! 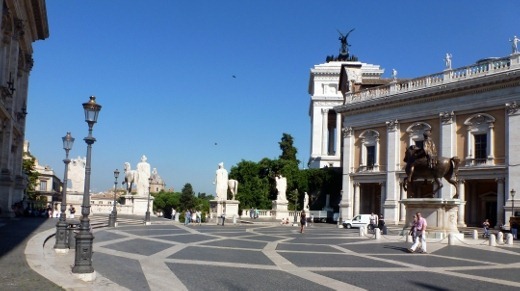 On the way to the Forum, we made our way through the Piazza del Campidoglio, at the sacred summit of Capitoline Hill, where at one time sacrifices to the gods were made. 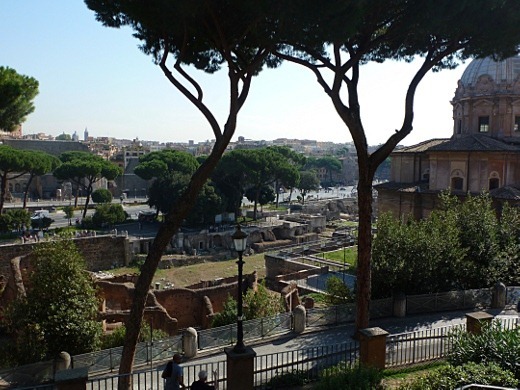 We enjoyed distant glimpses before making our way over for an up close and personal walk through the Roman Forum and Palatine Hill. Seeing the ruins was just surreal to me. So evocative. 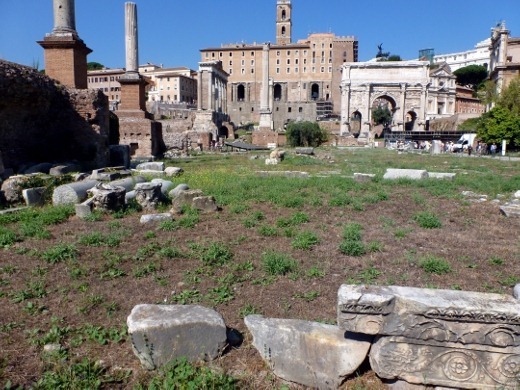 I couldn’t help but to imagine what life might have been like as an Ancient Roman. 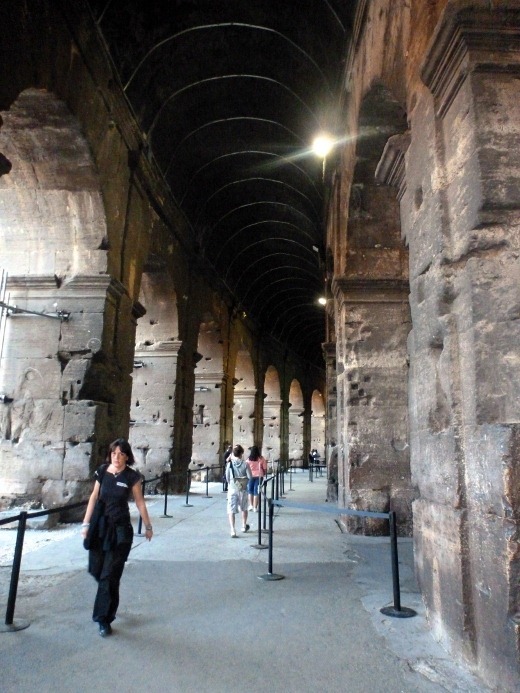 We tried to follow the walking tour in our Frommer’s Guide, to lead us through the Forum. 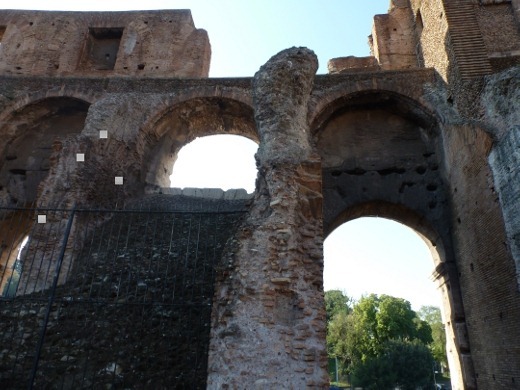 This allowed us to identify many of the structures and read about their history on the way. 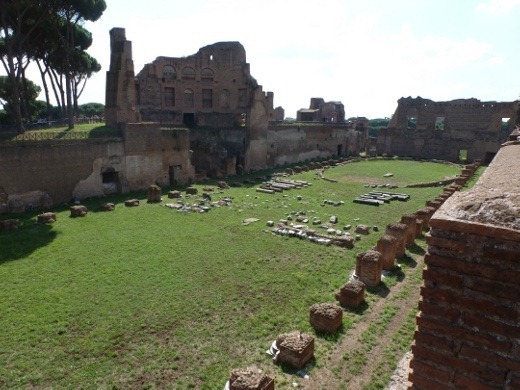 This was the place to be, in ancient Rome! 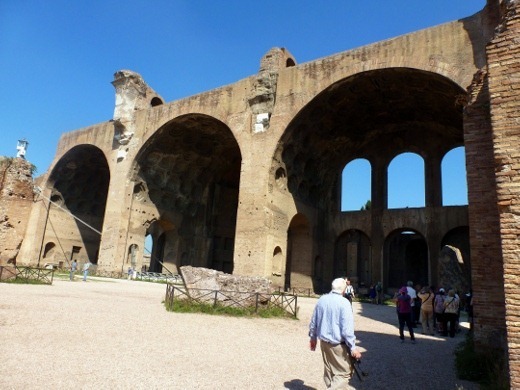 I should also mention that it was hella hot when we toured the ruins! Sunburn ensued. After spending well over two hours walking through ancient Rome, we were in need of sustenance. 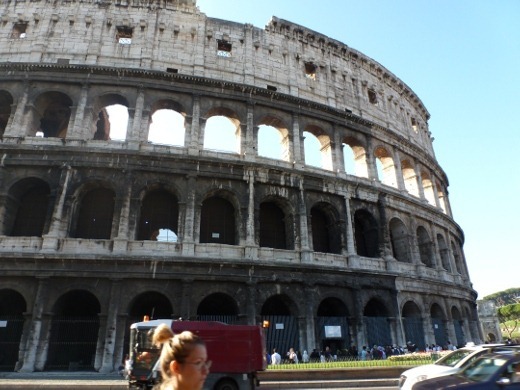 We wrote the crowded Metro from Colosseo to Spagna and had lunch at a nearby restaurant. The huz and I shared an Insalata Caprese. More arugula! Blech! I tell you, these Europeans love their freaking arugula. 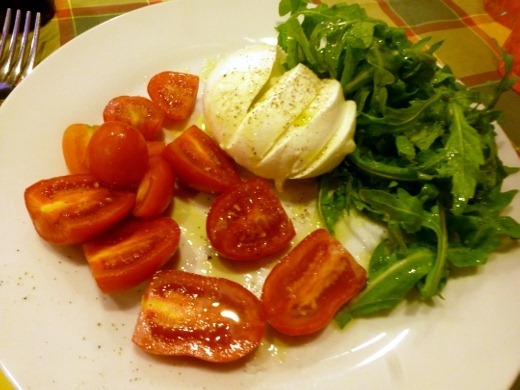 Luckily the homemade mozzarella, tomatoes, and olive oil were of excellent quality and hit the spot. 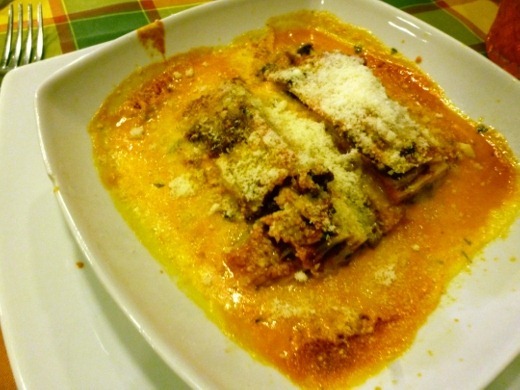 I decided I needed to try some of this homemade pasta myself, so I ordered the meat cannelloni, with a creamy tomato sauce. Simply delish! 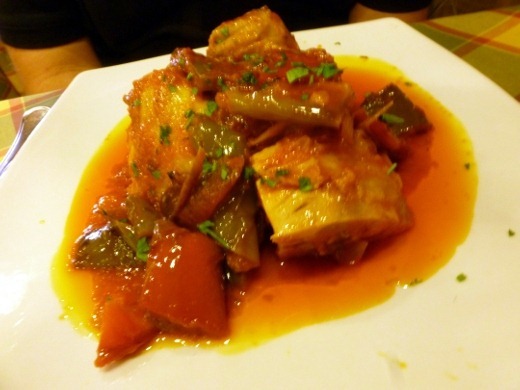 The huz had a braised chicken dish with herbs and bell peppers, in a savory tomato sauce. 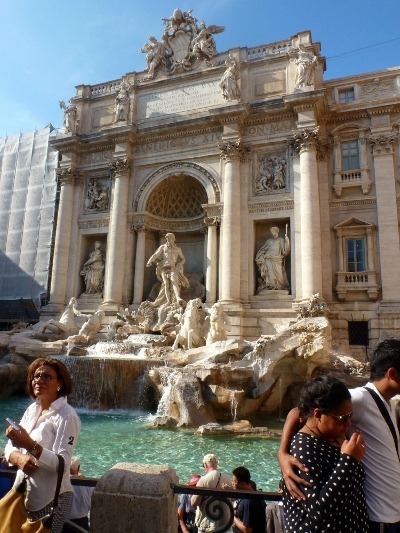 After refueling, and more importantly, rehydrating (the Roman sun is REAL), we went to see the Trevi Fountain by day. Stunning! One of the front walls was current undergoing restoration, hence the scaffolding. 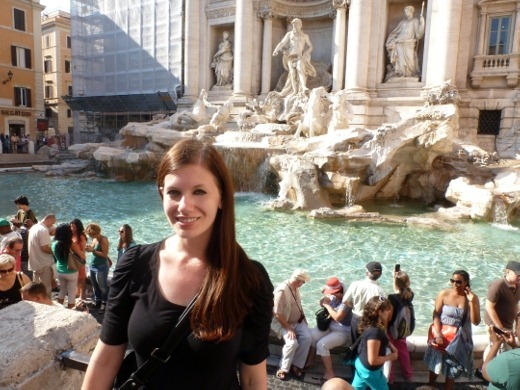 I think we loved the Trevi Fountain by night a bit more (all the glowing lights!) but it was pretty awesome by day as well. 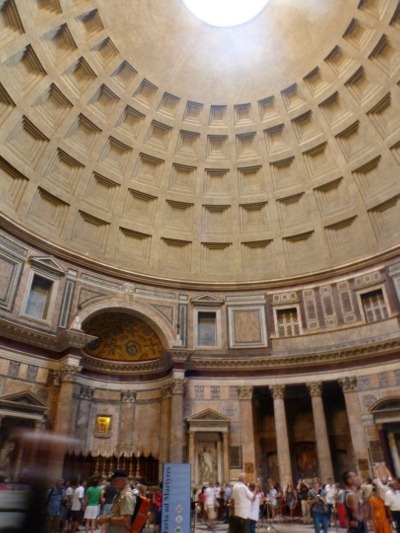 And then back to the Pantheon, which we had glimpsed at the night before. Now it was time to check it out inside. 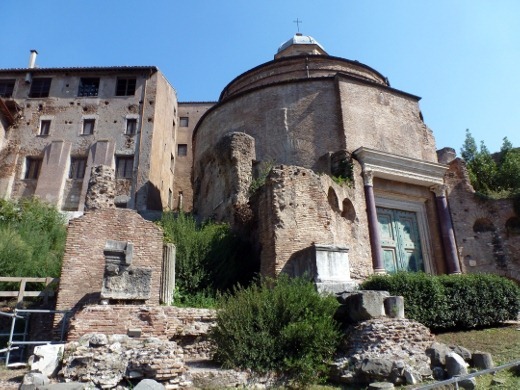 The ancient structure is in an incredibly well-preserved state. 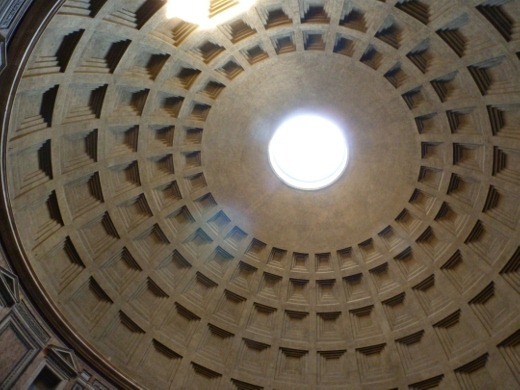 The ceiling has an intended hole – the oculus. This structure, with its 25 feet thick walls, that is still standing after two millennia is nothing short of an architectural marvel. 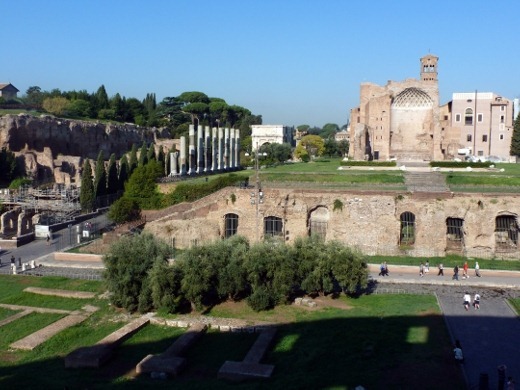 The structure was initially built as a temple to worship all of the Ancient Roman gods. 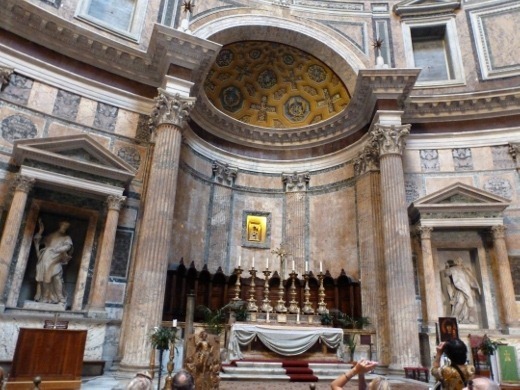 However, the Christians later came and modified the interior of the structure to their liking. 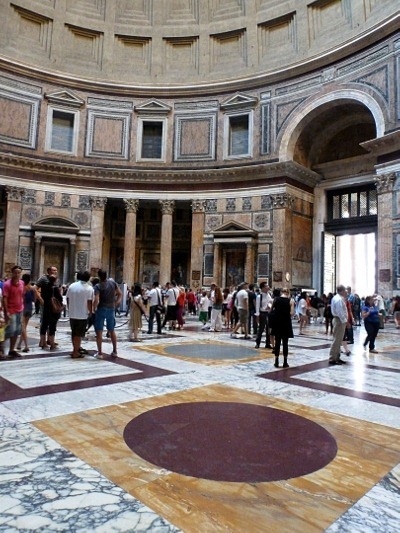 The marble floor with its geometric shapes and bold colors was very cool indeed. 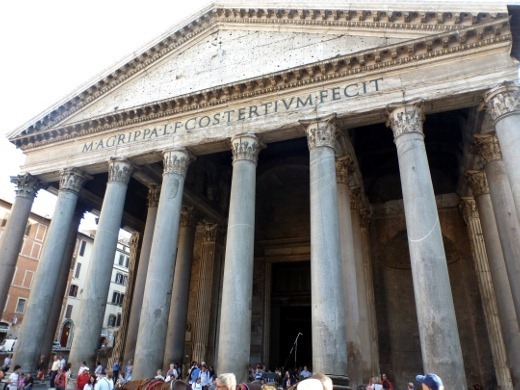 The Piazza della Rotunda, in front of the Pantheon. 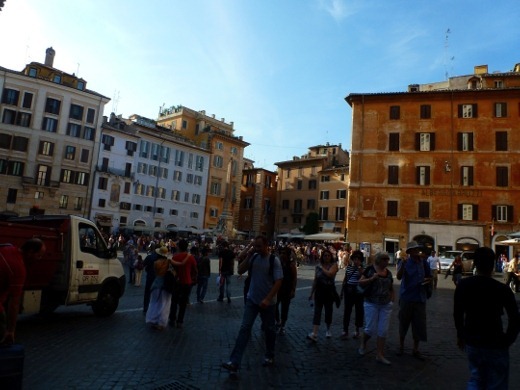 Walking the streets of Rome. 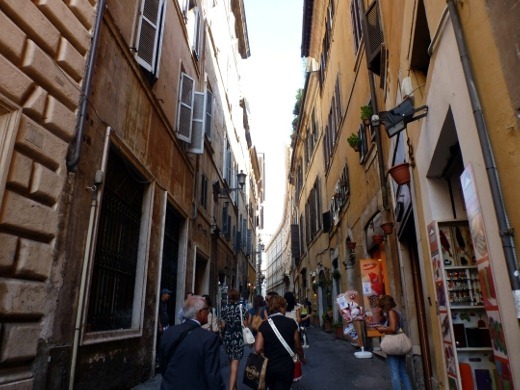 I much prefer these narrow pedestrian streets to the crazy traffic-filed major roads. 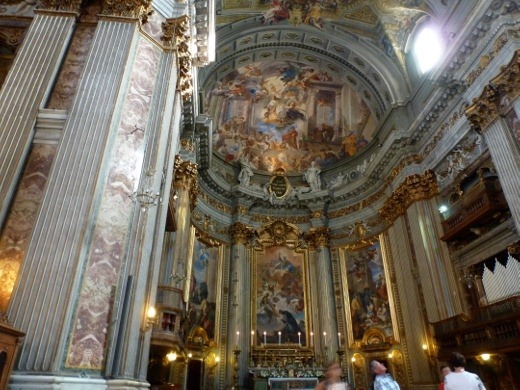 We made another stop at the Church of Saint Ignatius to see the painted baroque ceilings. 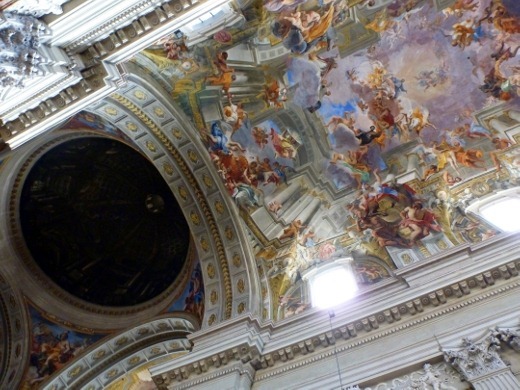 Local restrictions prevented the structure from being built as tall as initially hoped, so instead artists painted the illusion of depth in the ceiling. 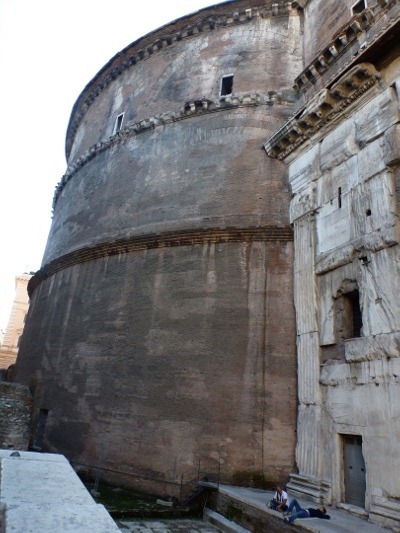 It is quite remarkable, especially the painted dome! See the round, black dome? The ceiling is actually FLAT! After all of this sight-seeing, a shower and a rest were in order at our hotel, before dinner. Per our hotel concierge’s recommendation we ate at the nearby Mamma Angela’s. Lucky for us, Mamma Angela’s most certainly did not disappoint! This was one of the top three meals we had during our two week trip. 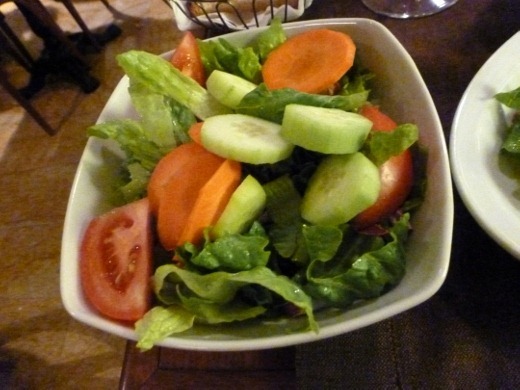 I made a conscious effort to get in my veggies during our trip! Insalata to start, with oil and vinegar (and no arugula, for the win!). The local red wine was a steal and tasted good so we shared a bottle. When in Rome? This was the meal at which I feel HEAD OVER HEELS in LOVE with Saltimbocca Alla Romano, a Roman veal dish, wrapped in prosciutto and served with a white wine sauce. (See, I told you I am not very skilled at pairing wines with food. I never think that far ahead when I order!). In any case, this dish was INCREDIBLE! It was love at first bite. 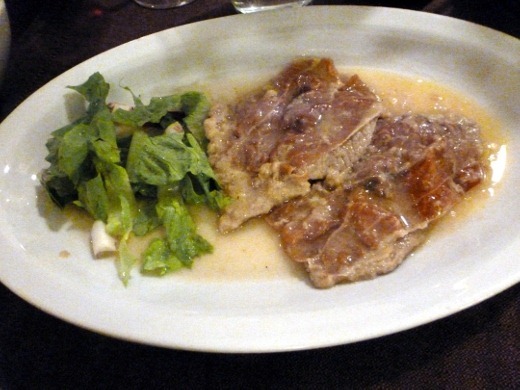 I couldn’t believe how much flavor was packed into a rich bite of this tender veal and salty prosciutto. A new favorite for me! 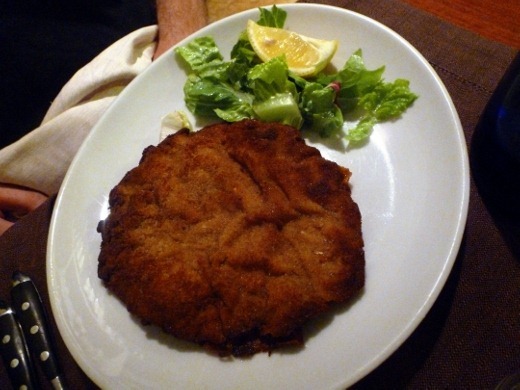 The huz also ordered veal; however, his had a crispy coating. He enjoyed his as well. Looks like it needs a sauce to me though!? I believe he had some roasted potatoes on the side as well. He’s a meat and potatoes kind of guy. We were living large and ordered TWO desserts to share. 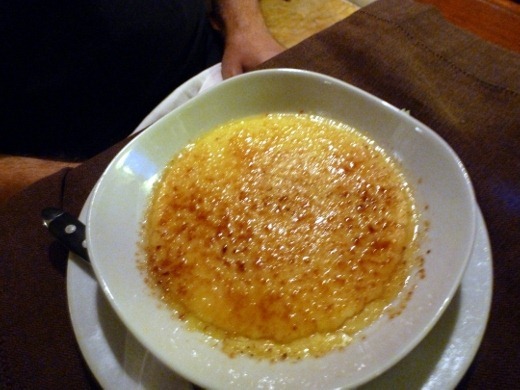 First, some sort of Crème Brûlée with an Italian twist of lemon. 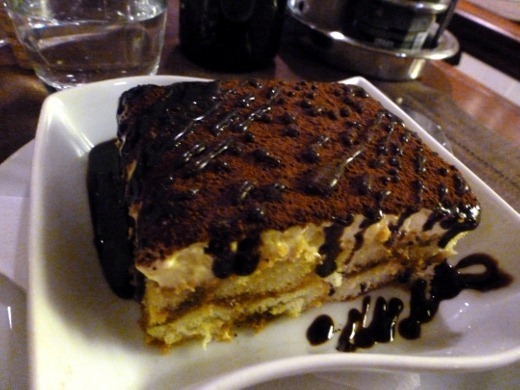 And another Italian dessert: Tiramisu! Oh my gosh you guys, this dinner was SO GOOD. 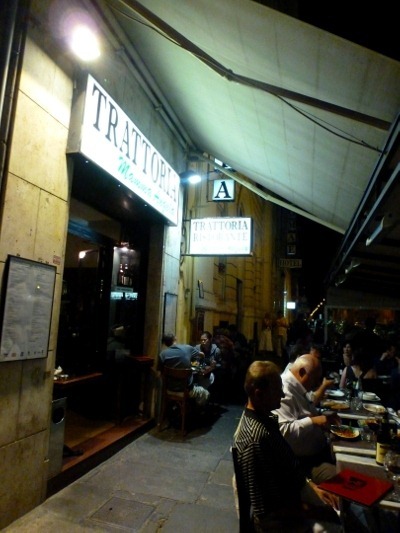 The atmosphere was welcoming and romantic, the service was pleasant, and the food was all homemade and wonderful. With our bill, as a surprise, we each received a small glass of Limoncello, on the house. Nice touch! 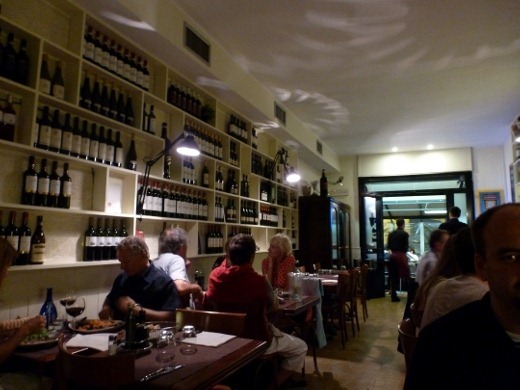 If you find yourself in Rome, most definitely check out Mamma Angela’s if you can! Wow! Where do I start? 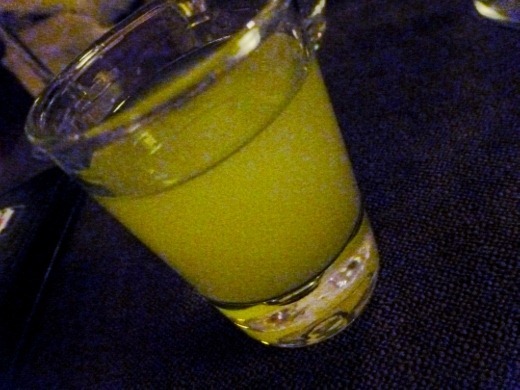 Limoncello – your post reminded me for the first time in years, about this tangy treat after a meal – often complimentary too, or at least very cheap. 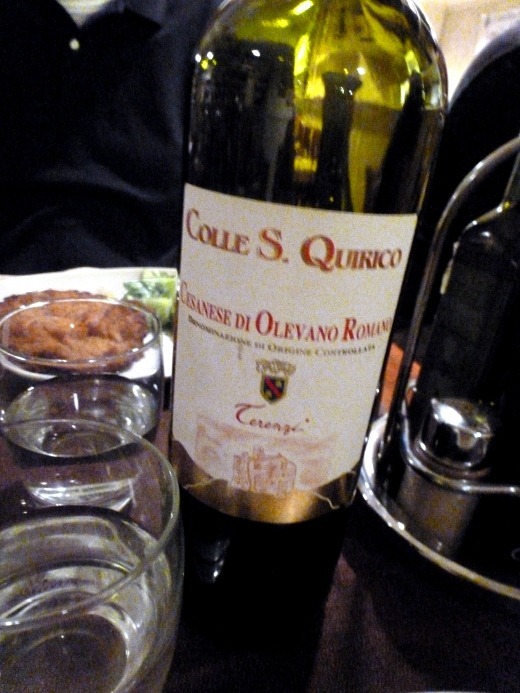 And it’s a nice to leave the restaurant with a bit of a buzz – i’m sure that’s why they must give it to people. Helps making pay the bill just that bit easier. You sure covered a lot in your day in Rome. 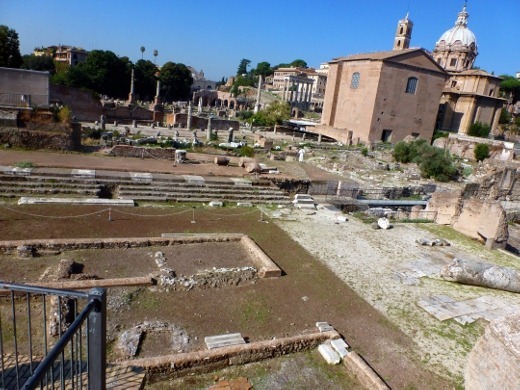 I really loved the forum also, being out in the open air is a nice change to the crowded streets of Rome. 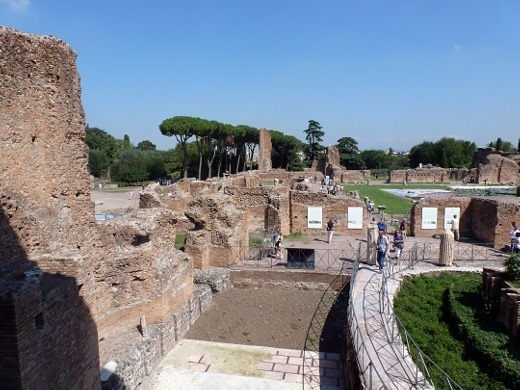 There is something about those ruins, maybe it’s all the hollywood films and Doctor Who episodes about the Romans, but I could really imagine what it must have been like. 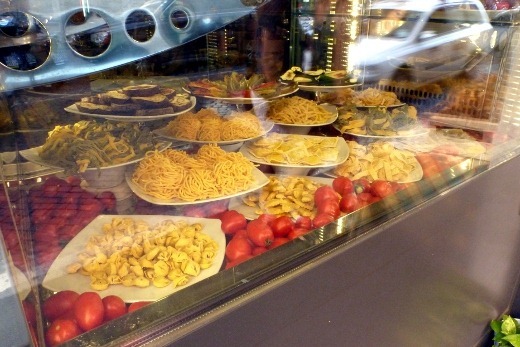 Pingback: Europe 2012: Day 12–Rome and the Vatican « Meg.Goes.Nom.Nom.